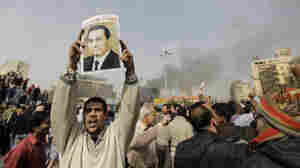 January 31, 2011  Asked if the U.S. wants the Egyptian leader to step down, he says that's not for America to say — but that the administration wants to see a "transition" to greater democracy in Egypt. January 31, 2011  Korey Rowe was arrested in Oneonta, N.Y. The film, viewed millions of times on the Web, questions what happened on 9/11. January 31, 2011  It's a tale that sounds like something the fictional wizard might have been able to survive, not a landfill manager from Glasgow named Adam Potter. But that's what happened. 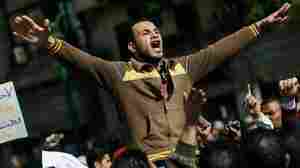 January 31, 2011  There are calls for a million people to march on Tuesday, and protesters are trying to force President Hosni Mubarak to step down by week's end. January 30, 2011  The Nobel Peace Prize laureate also told CBS that the U.S. government is "losing credibility by the day" because it appears to be "lending support to a dictator." January 30, 2011  "We do not want to send any message about backing forward or backing back," she tells CNN when asked if the U.S. is backing away from the Egyptian leader. What America wants, says Clinton, is "a democratic Egypt." January 30, 2011  Demonstrations are now in their sixth day. Some of the groups involved are calling on Nobel Peace laureate Mohamed ElBaradei to form a transitional government.